So what's the failure? Ready to defend child! 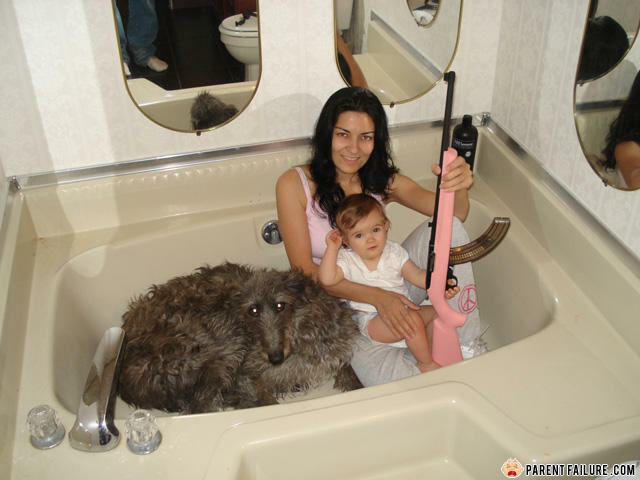 Honey quick...get the baby, the gun and the Aardvark and get in the tub!!!! so where exactly DO you buy Wile E. Coyote as a pet? "that's not even a real gun. it's a bb gun. mags don't look anything like that." - Fail. It's a Ruger 10/22.